Sacred geometry, through it’s basic and complex patterns, represents the Great Design of the Universe. These sacred patterns of existence, present in many aspects of human culture since the the earliest times, enable us to understand the true nature and functioning of the Mystical Continuum, in its scientific, philosophical, psychological and aesthetic forms. 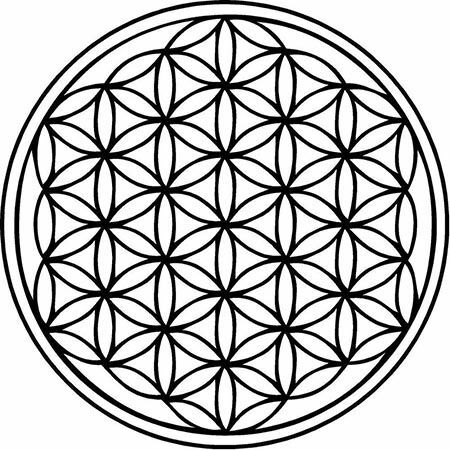 One of the most beautiful example of sacred geometry is the Flower of Life, which can be found in all major religions of the world. It is composed of the patterns of creation, which emerged from the Great Void. From Creator’s thought the seed of life was created, then the vortex motion was continued and formed the next structure called the Egg of Life. This structure is the basis of music, for the distances between the spheres perfectly match the distances between the tones and the half tones in music. Identical cellular structure can be found in the third embryonic division. Further developement of this structure creates the human body and all of the energy systems, alongside the ones used to create the Merkaba. 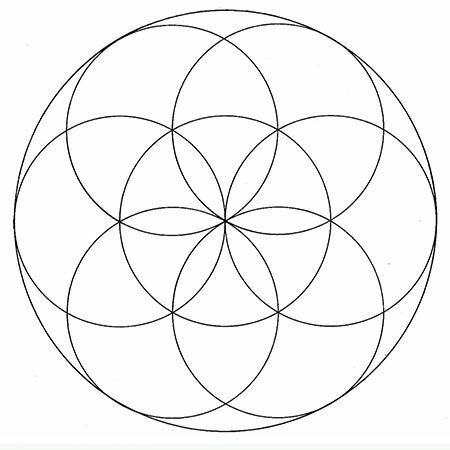 By creating more spheres, we will eventually come to the structure called the Flower of Life.